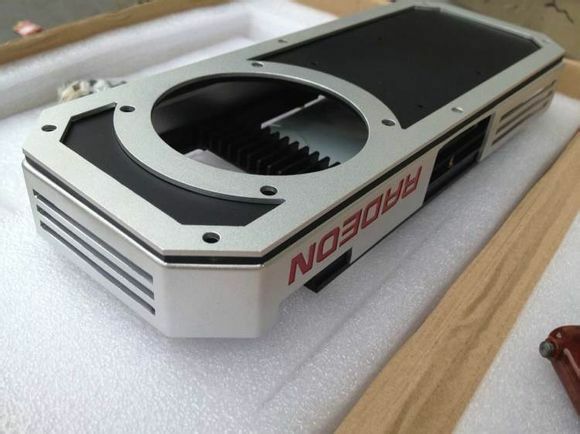 What you’re looking at is probably the first prototype of future Radeon R9 300 series cooling. 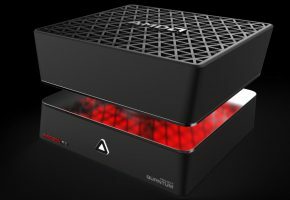 Just 3 weeks ago Asetek announced ‘the largest ever design win’. Thursday, August 14, 2014 — Asetek® today announced that it has secured a design win with an undisclosed OEM customer for a graphics liquid cooling product. The ambitious project is forecasted by the customer to result in 2 – 4 million dollars of revenue. Shipping is scheduled to begin in the first half of 2015. The design win continues Asetek’s success in the growing graphics liquid cooling market. 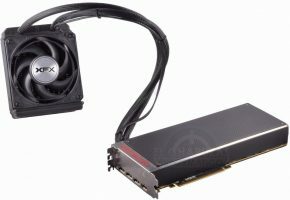 Well as it just turns out, that deal was with AMD to design new R9 300 series cooling solution. 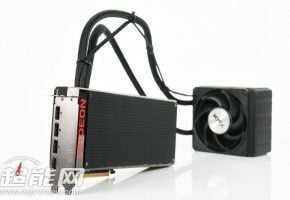 The new cooler is almost identical to R9 295X2 (which was design by Asetek by the way). The only difference is that the middle fan has been moved to the side, as only one GPU has to be cooled down. 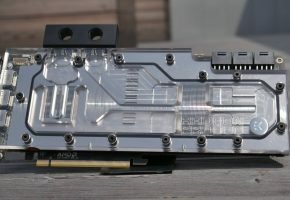 We can even see the place where liquid loop will be connected, so it’s quite obvious now that next Radeon flagship will use hybrid cooling system, just like dual-GPU Radeon R9 295X2 does. Whether this is a good news or not, it’s a huge progress from plastic reference cooling of R9 200 series. We just hope the decision to use liquid cooling was not dictated by high temperate of the next high-end GPU, but rather a design upgrade. 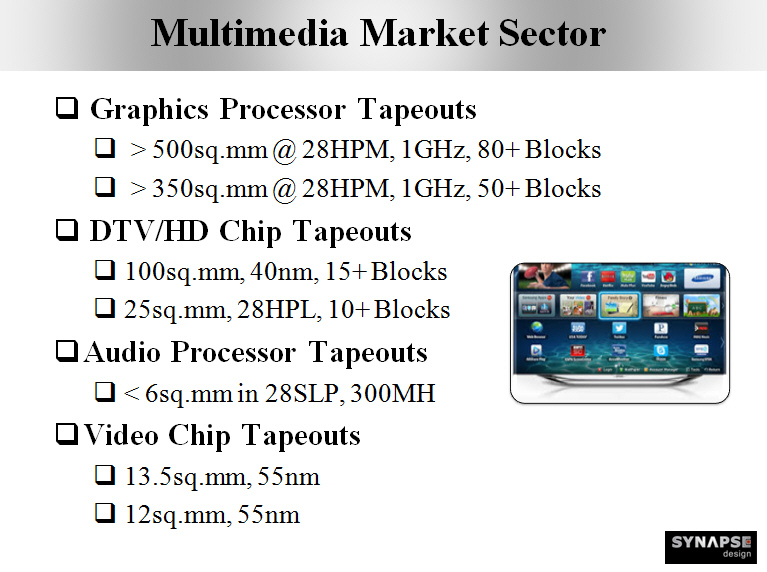 In July this slide has been popular among tech sites. 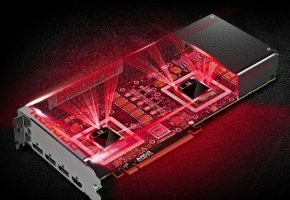 New GPU designed by Synapse most likely for AMD. 500 sq.mm silicon needs some proper cooling. 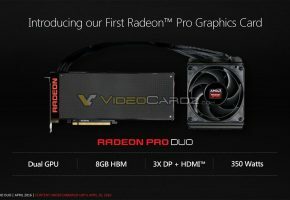 The rumors suggest we might be looking at Radeon R9 390X right now, equipped with Fiji GPU. This card is not expected to launch any time soon (like months soon).